A first time we have had this species avaibale. Very quick! An impressive species of tarantula. This is a gorgeous spider. Quite a rare and unusual species. 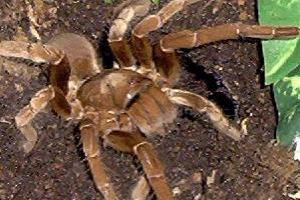 With a leg span of up 10 inches,this one of the largest tarantulas in the world. First time weve had this species avaliable.